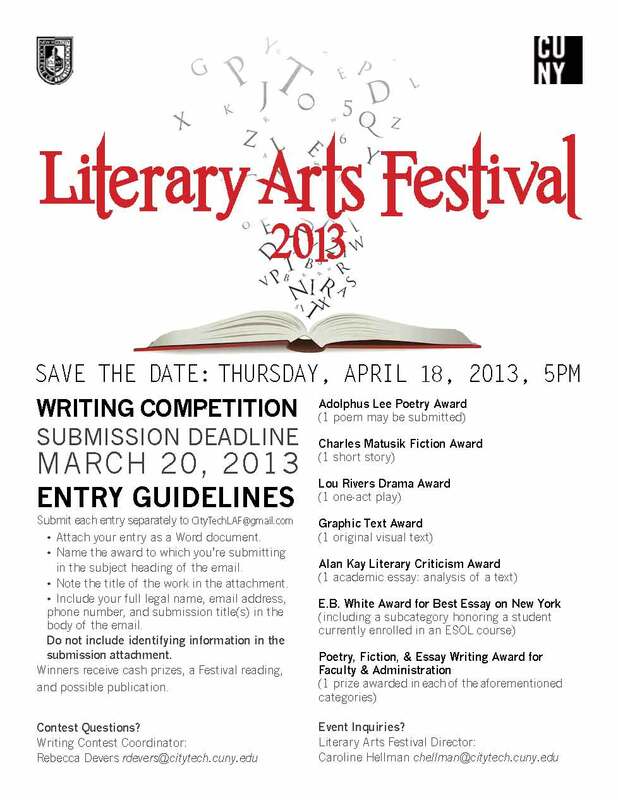 So tomorrow is the deadline for the Literary Arts Festival’s writing competition. In case you misplaced your copy of the writing competition flyer, or don’t want to scroll down a little, here it is again. What are you planning to submit? Have you already written it? Are you driven by a deadline? Now is your time to shine! This entry was posted in Writing Competition and tagged call for submissions, deadline on March 19, 2013 by Jody R. Rosen.